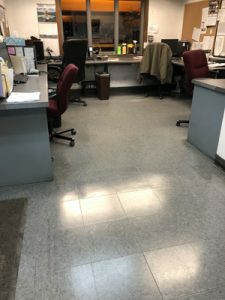 It’s a scenario too many office managers are familiar with: When you arrive in the morning to open the office, you discover that the overnight cleaners forgot to perform important tasks, did a poor job of cleaning the office, or failed to show up altogether. Your business needs to show a neat, organized face to your clients. But when your contracted cleaners aren’t providing the services you are paying for, they aren’t the ones that look bad. You are. So if you shrug it off or chalk it up to your cleaners having a bad day, it’s on you. A lot of office managers are reluctant to take action against a contracted cleaner because they are afraid of violating the terms of their service contract. But what does your contract actually say? Most contracts with service cleaners spell out in detail the types of services the cleaners will provide as well as the frequency. And if cleaners aren’t providing the services outlined in the contract according to the defined schedule, it’s the service provider that has violated the terms of the contract, not you. It’s important to know exactly what the contract with your service provider stipulates. So the first step in taking corrective action is to familiarize yourself with the terms of the contract. You may have a long-term relationship with your cleaning service. You may even know the owner and many employees by name, or at least by sight. But when it comes down to it, friendship is one thing and business is another. If your cleaning service isn’t consistently providing the quality of service you are paying for, it’s probably time to make a change. All Bright Janitorial Service is one of New England’s fastest-growing contracted cleaners. We pride ourselves on delivering consistent quality to each of our clients on a daily basis. Don’t walk into another dirty office. Call All Bright Janitorial Service and make the change your business deserves.